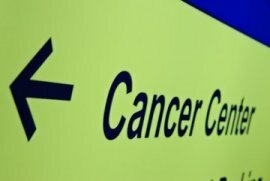 Cancer Research: Where are We? The cost of cancer research in the United States is mind boggling. In the last 40 years, the United States government has spent upwards of $100 billion dollars on researching the causes and treatments of cancer. And sadly, the result of all this spending has been a dismal record of improvement. During this 40 year "War on Cancer," survival rates for people diagnosed with cancers has changed very little. The mainstream cancer industry puts out press releases which talk about cure rates increasing, but what they are really talking about is a "5 year survival rate", not a cure rate. This 5 year survival rate is a measure of how many patients are still alive five years after being diagnosed with cancer. Note the lack of "cure" in that measurement. And the only reason that the 5 year survival rate number has gotten better is because of better detection methods, not because of the discovery of any successful mainstream, drug related cures for cancer. The United States has spent $100 BILLION dollars researching cancer with little progress to show. Seems to me that the hypotheses we are researching might need to be overhauled. And it gets worse. In 2008, spending on cancer care topped $90 billion. In 2013, cancer care costs topped $125 billion. The newest cancer drugs can cost individual patients up to $30,000 per 8 week treatment course. One drug is so expensive ($11,000 a MONTH) that hospitals refused to use it. In 2018, the latest drug for metastasized breast cancer, iBrance, costs $12,000 for a 21-day supply. Cancer medicines are the best-selling and fastest-growing group of drugs in the United States. The sales of these drugs are estimated to top $147 billion by 2020. And sadly, for many people, these mainstream cancer treatments are more dangerous than the original cancers, especially if the cancer is a slow growing one. Chemotherapy treatments and radiation are highly toxic to the entire body, not just to the cancer cells, and many people die from treatment damage, rather than the cancer itself. See this paper and this paper. For example, a meta-analysis study published in the Journal of the American Medical Association showed that the use of the cancer drug bevacizumab in combination with chemotherapy or biological therapy was associated with an increased risk of treatment-related death. The main problem which has been elucidated by Dr. Otto Warburg in the 1920s, and more recently by Dr. Thomas Seyfried in his book "Cancer as a Metabolic Disease" is that research efforts have largely focused on defining cancer as a "genetic" disease. Most cancer research money is spent on investigating genetic causes. But as Dr Warburg, Dr. Seyfried and others have hypothesized, cancer may instead be a metabolic disease, meaning it is a disease of cellular energy processes. And as such, it is becoming apparent that metabolic therapies using a ketogenic diet are advantageous in improving the outcomes of cancer treatments since they cripple and destroy cancer cell metabolism while supporting normal cellular health. The added benefit is that this simple dietary treatment is much less toxic to the patient than conventional "standard of care" cancer therapies. Effects of a ketogenic diet on the quality of life in 16 patients with advanced cancer: A pilot trial. Metabolic management of glioblastoma multiforme using standard therapy together with a restricted ketogenic diet: case report. The ketogenic diet reverses gene expression patterns and reduces reactive oxygen species levels when used as an adjuvant therapy for glioma. 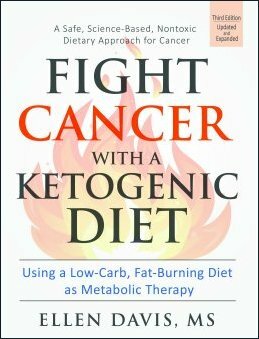 If you are interested in more information on how to treat cancer with a ketogenic diet, I recently launched the third version of my book "Fight Cancer with a Ketogenic Diet" which provides all the details. Click here or on the book cover to order a copy. Travis Christofferson, the author of Tripping Over the Truth, tells me that the first U.S. expansion of Care Oncology Clinics has recently opened in Rapid City, SD (August 2017). Care prescribes a patented cocktail of repurposed drugs as an adjunctive oncology treatment. He says the repurposing of drugs seems to be one of those things that should have been done a long time ago in oncology but there is no financial incentive driving it. (much like the ketogenic diet). Everyone agrees it's a great idea, both to bring down costs and improve outcomes, yet it's impossible, under the current system of phase 1, 2, 3, to FDA approval, to get it incorporated into standard of care. For example, metformin has a plethora of data suggesting efficacy for both the prevention and treatment of most cancers. It costs $4.98 for a month supply. Ironically, the problem is that drugs like metformin languish because they are off-patent and no one can make a profit. In this backdrop, Care took a bold step and started treating cancer patients off-label with a cocktail of repurposed drugs taken alongside standard of care therapy. The idea was a trial in reverse--treat patients while collecting data. This Telegraph article explains. After about four years of treating patients they finally have data for the most aggressive form of primary brain cancer, glioblastoma WHO grade IV. The internal analysis conducted to date appears to be extremely encouraging with regards to overall survival, with patients experiencing minimal side effects. And the data is now in the process of being audited by independent bio-statisticians and should be ready for publication in two to three months (November-December 2017). For more information or to book an appointment with Care Oncology, call 1-844-859-6370.